Finally, we've got an HTML version of db-db! I know it's far from complete, but at least you can see db-db on iPhone now! 在這個聖誕裡，我們會送出10個 Super db-db給愛db-db的朋友。請在這裡留言或發訊息給我，我們會去看看你的頁面。最酷的十個會得到一年的 Super db-db! The very first db-db furniture! 上海市宛平路114号靠近康平路114 Wan Ping Rd. near Kang Ping Rd., Shanghai, China. Special discount will be offered to db-db members, please email me directly if you're interested. A biological clock. Click to switch between digital and analog. Click to switch between digital and analog. 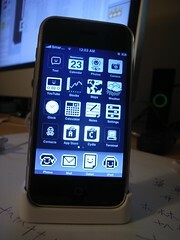 The theme will be appeared in Winterboard after installation.